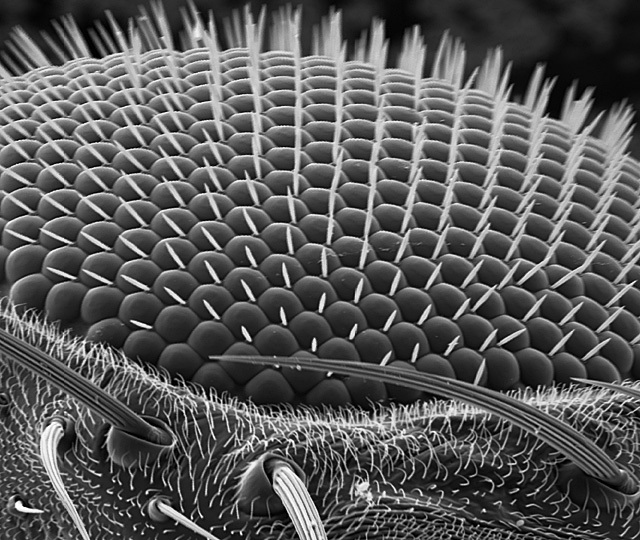 Examples of scanning electron microscopy. We are a full service facility involved in all steps of electron microscopy. Our roles include advising in the planning stages of experiments, preparing samples, training researchers to operate the EMs or imaging at the microscopes ourselves, consulting on interpretation of data, and preparing final figures. FIG. 3. Scanning electron microscopy of C. neoformans yeast cells. 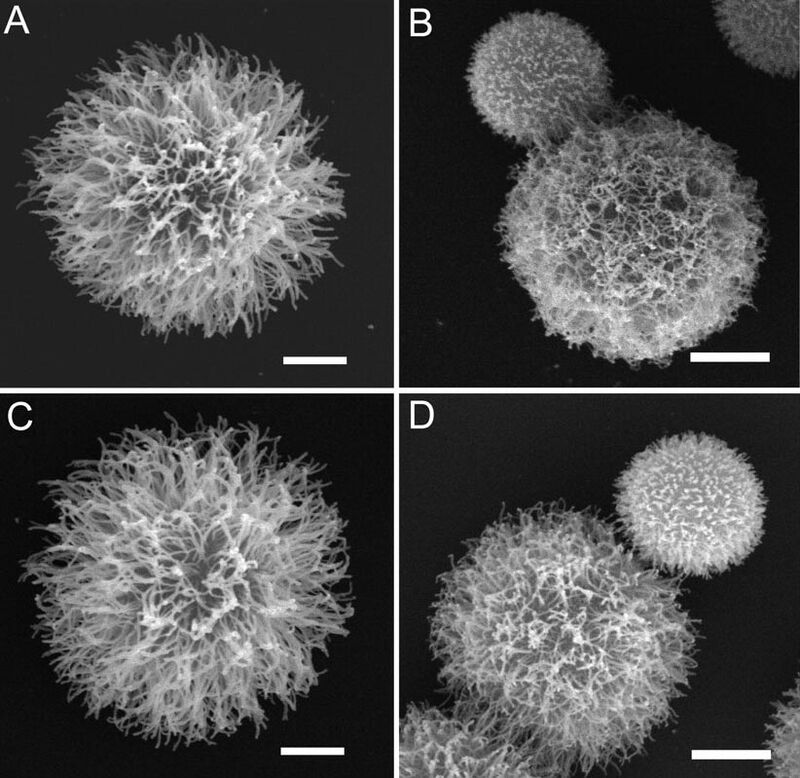 Cryptococcal cells were grown in SAB medium (ATCC 24067 [A] and H99 [C]) or SAB medium with 0.5 times the MIC of voriconazole (ATCC 24067 [B] and H99 [D]). The yeast cells shown are representative of those seen for each condition. The experiment was performed twice with similar results. Scale bars represent 2 µm. Van Duin D, Cleare W, Zaragoza O, Casadevall A, Nosanchuk JD. (2004) Effects of Voriconazole on Cryptococcus neoformans. Antimicrob Agents Chemother. 48(6):2014-20. C57BL/6 mice were challenged with 1 × 107 virulent M. tuberculosis, Erdman strain, intratracheally. Tissue was processed for scanning electron microscopy. (A) M. tuberculosis (arrowheads) adhere to and cause a tunneling of the M cell surface (arrows). Bar, 1 µm; magnification, 2,500×. (B) Higher magnification of bacteria in (A), with cluster of M. tuberculosis (arrowhead) adhering to microvilli on the M cell surface (small arrows). Bar, 1 µm; magnification, 10,000×. (C) Higher magnification of bacillus in (A), showing microvilli adherence to bacterial surface as well (arrows). Bar, 1 µm; magnification, 13,000×. Teitelbaum R, Schubert W, Gunther L, Kress Y, Macaluso F, Pollard JW, McMurray DN and Bloom BR. (1999) The M cell as a portal of entry to the lung for the bacterial pathogen Mycobacterium tuberculosis. Immunity 10(6):641-50. This is a comparison of thin section transmission electron microscopy (top) and scanning electron microscopy (bottom). Both images show virus budding from mammalian cells. Also, we introduce and develop new techniques to meet the needs of a wide variety of researchers. All images protected by copyright either by the journal in which they are published or by AECOM, 2002-2005. Use of images please credit: Analytical Imaging Facility at the Albert Einstein College of Medicine.